Since the launch of DS 3 in 2010, 390,000 customers have succumbed to the charms of this hip and stylish Parisian supermini. From London to Tokyo and Sydney to Buenos Aires, DS 3 has become a true automotive icon that is renowned for its distinctive personality, unique styling, driving pleasure and leading-edge technology. Both DS 3 and DS 3 Cabrio have always offered drivers the best possible blend of comfort and dynamism. 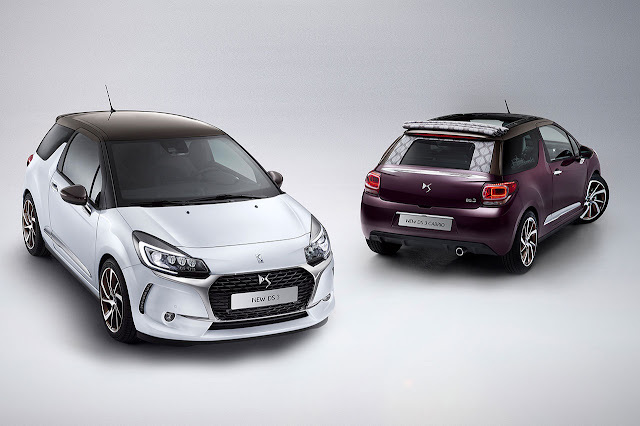 New DS 3 and DS 3 Cabrio – unveiled today – are even more attractive, with new design features (revised front end and personalisation possibilities) and enhanced functionality (connectivity, driving assistance systems). For top-level performance, both in the city and out on the open road, the DS brand’s versatile new models can be specified with the latest PureTech 130 three-cylinder turbo petrol engine and offer the latest-generation EAT6 automatic gearbox with the PureTech 110 petrol engine. New DS 3 and DS 3 Cabrio will also be available in Performance specification, boasting an impressive 208hp (153kW). The reveal of New DS 3 and DS 3 Cabrio will be of significant interest to UK new car buyers. Britain is already the leading market for DS 3 sales. More DS 3 and DS 3 Cabrio models were sold in the UK last year than in France or any other global market. “An icon”. “A unique object”. “The DS 3 has revolutionised automotive cues”. “A car that has marked its time”. This is how drivers talk about their DS 3s. They are proud to own a car that reflects their individual image, a car that stirs desire and puts the magic back in to everyday life. That feeling is wholly shared by the DS design team. Renewing a car of this stature was both a pleasure and a challenge. 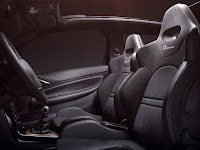 The goal was to build on what has already made DS 3 a success – personalisation, styling and vitality – and to enhance it with contemporary technology and equipment, including efficient engines and a connected touchscreen. Also key to the project was the unwavering passion and attention to detail shown by the stylists, technicians and engineers. DS 3 has always embodied avant-garde design and was the first DS to feature the highly expressive “DS LED Vision” light signature. Now it also boasts the DS Automobiles front end with “DS Wings” that are sculpted around a vertically-oriented grille that proudly wears the DS emblem. Surrounded in chrome to underscore its elegance, the grille extends towards the LED headlamps and fog lamps via two chromed-finished wings. The new front end perfectly complements the styling of the car, with the double wings making their debut on a DS model. After all, it is entirely natural for the first-ever modern day DS, and a DS brand icon, to lead the way. The DS design team has retained much of the car’s original look, including the floating roof, two-tone body/roof colours and the shark fins on the sides, which are so emblematic of the DS 3’s personality. New DS 3 is more unique than ever in terms of personalisation possibilities, including options for the roof, body, rear view mirror housings, dashboard and gear knob. 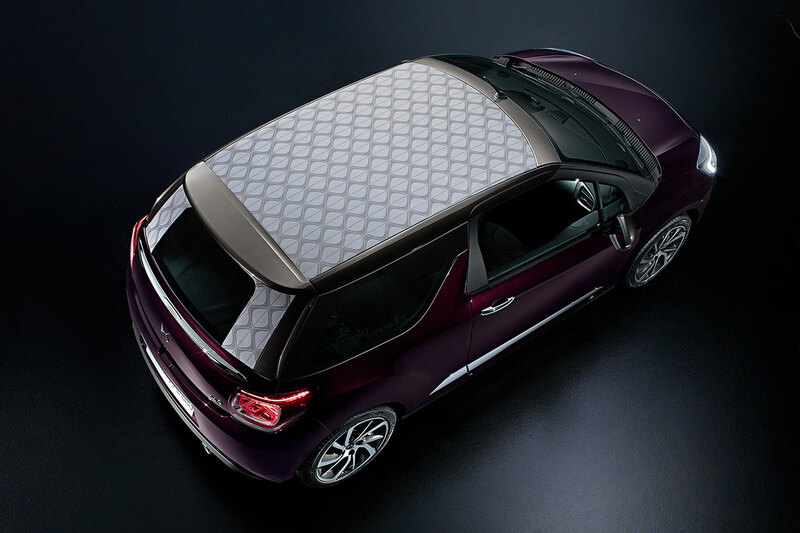 Customers can now choose from 78 body/roof colour combinations and four fabric roofs for the DS 3 Cabrio. 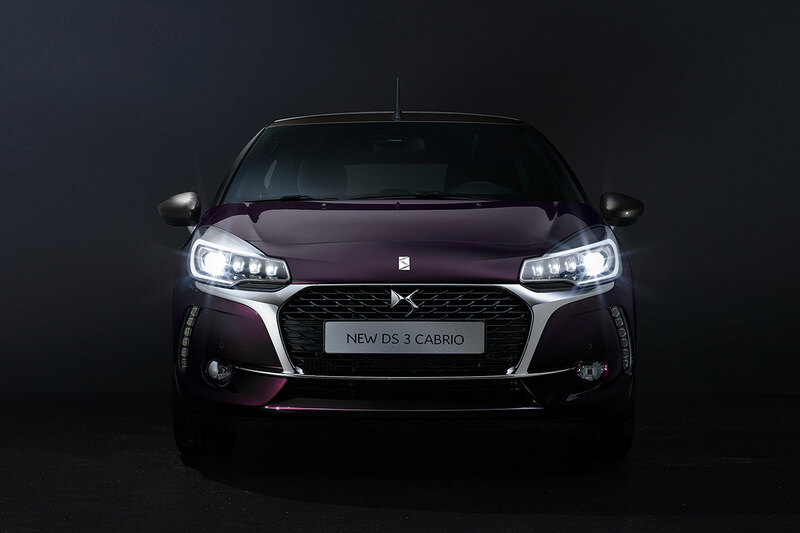 As with New DS 4 and New DS 5, the new headlights – that were originally introduced on DS 3 in the summer of 2014 – combine LED technology (three jewel-like modules in each unit) and Xenon technology, with sequential LED indicators and new LED fog lamps. The combination of LED and Xenon technologies generates a powerful, broad and harmonious light flow for improved visibility and driver comfort at night. It also reduces the energy consumption on the dipped beam setting by 50% (67% with the main beams switched on). New DS 3 models are equipped with Mirror Screen functionality, comprising Apple CarPlay™ or MirrorLink® (for Android phones), bringing drivers a smarter, safer and more enjoyable way of experiencing all the personalised features of their smartphones. 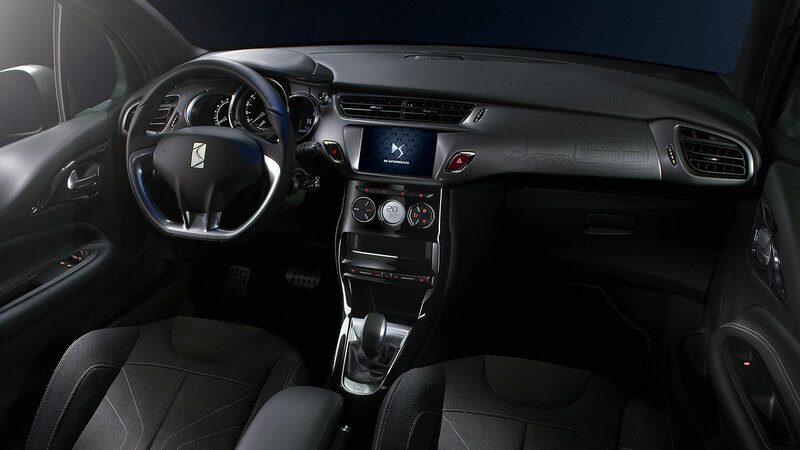 The New DS 3 driving experience is more high-tech than ever with the new 7-inch colour touchscreen. The latest-generation screen provides simpler access to all of the main vehicle functions (with 20 fewer buttons on the central fascia). It also houses Mirror Screen, a connectivity solution compatible with Apple CarPlay™ and MirrorLink®. Drivers can use Apple CarPlay™ to intuitively make calls, consult maps, listen to music and check their messages, either by using the Siri voice recognition technology or via the touchscreen. New DS 3 drivers can also extend the motoring experience on their smartphones with “MyDS”, a free app informing them of their servicing schedule, fuel economy and parking location. MyDS is available for Android and iOS. Tracking pack: in the event of theft, the geographical position of the car is transmitted to the police. The Active City Brake system helps to prevent minor collisions at low speeds. A short-range sensor, located at the top of the windscreen, detects obstacles such as a stationary vehicle. At speeds of up to 30km/h (18mph) it identifies potential risks and communicates directly with the braking control unit without the driver having to touch the brake pedal. The purpose is to avoid collisions or to limit the consequences of an accident by reducing the speed of impact. Automatic braking may bring the vehicle to a complete halt where the situation requires it. In this case, the car is held in a stationary position for around 1.5 seconds so that the driver can regain control. Before activating the automatic braking – if the system identifies an at-risk situation – the car primes the hydraulic braking system for improved reactivity in the event it is required. New DS 3 is now equipped with front and rear parking sensors, a reversing camera with visual indicator guide lines on the 7-inch screen and Hill Start Assist (manual gearbox only). Day-to-day usability and comfort is also provided by a spacious boot with the largest load volume in each segment (285 litres for the hatchback and 245 litres for the Cabrio). 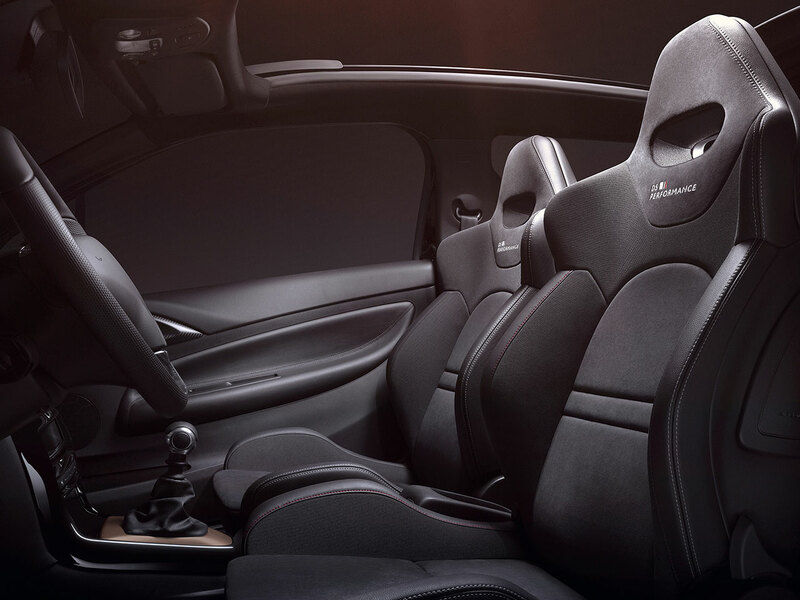 Comfort is a key word when driving DS 3 Cabrio. The roof can be opened and closed at motorway speeds and the car provides outstanding acoustic comfort. New DS 3 also scores highly for rear passenger comfort. Both New DS 3 and New DS 3 Cabrio can accommodate the driver and a passenger in the front of the car and three adult passengers in the back. With more than 20 limited editions since launch, 78 body/roof colour combinations and over three million personalisation options, New DS 3 has a powerful character and plenty of personality. Personalisation choice is now greater than ever, with ten roof decals available for the hatchback and four fabric roofs on the Cabrio, together with a host of further details. 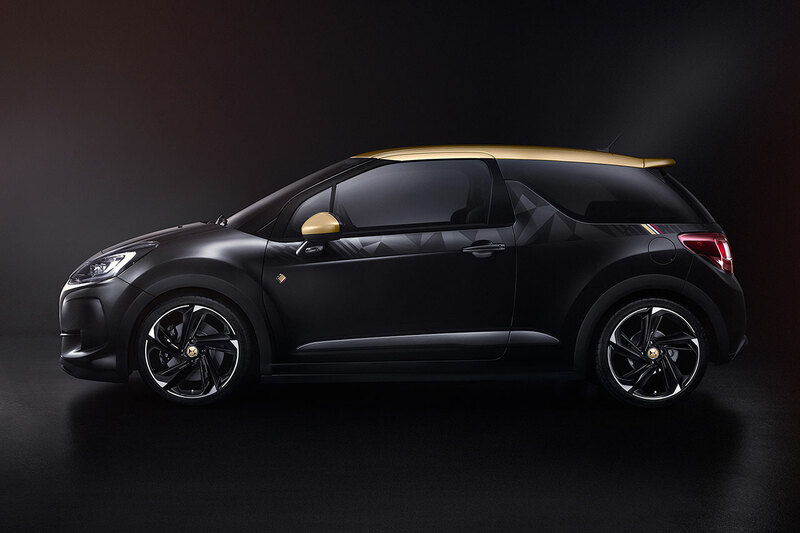 As a stylish Parisian supermini forever at the cutting edge of fashion, New DS 3 is available with new trims and new interior design schemes (for example, Basalt Black Dinamica cloth, Topaz dashboard). New DS 3 also comes with a new body colour (Sport Red) and a new roof colour (Topaz, which is inspired by gemstones), as well as new alloy wheels. 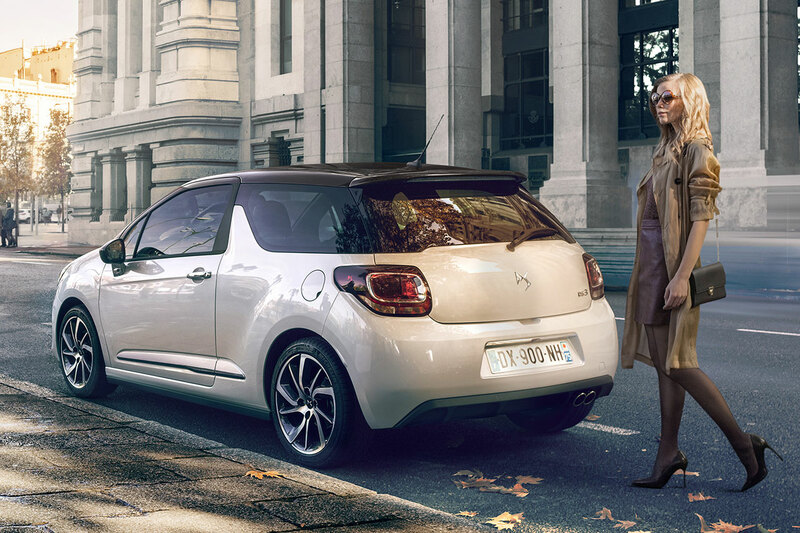 Fashion is also the inspiration inside New DS 3. Leather – a material that never goes out of style – features on the signature watchstrap-style seats. This DS hallmark design uses premium Nappa leather. 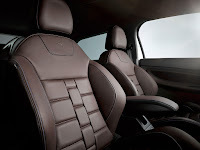 Nappa leather is also used for the leather-upholstered dashboard on Ultra Prestige models. As an ultimate example of attention to detail, New DS 3 combines technology and refinement with laser engraving on the dashboard trim and on the door mirrors. 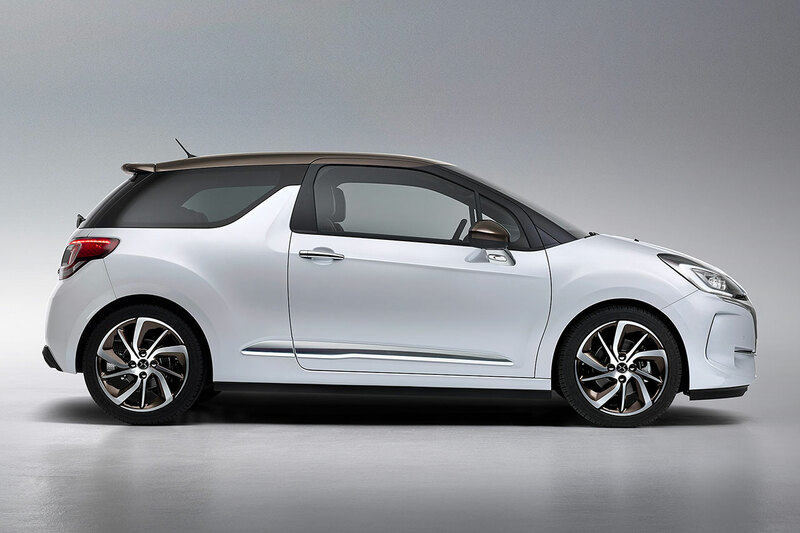 Beautiful and bold, New DS 3 shakes up automotive design cues and breathes new life into French-style luxury. For the hatchback and the Cabrio, the keywords remain appeal and vitality. New DS 3 may well have appeal as an urban car, but it is equally at ease out on the open road due to its compact dimensions, agility and, above all, to its high-performance engines. New DS 3 will be available in the UK with seven engines, including three PureTech three-cylinder petrol engines (the DS brand’s PureTech engines won an International Engine of the Year award in 2015). There are also two THP four-cylinder petrol units and two BlueHDi diesels. There are two types of gearbox – manual and a latest-generation automatic. 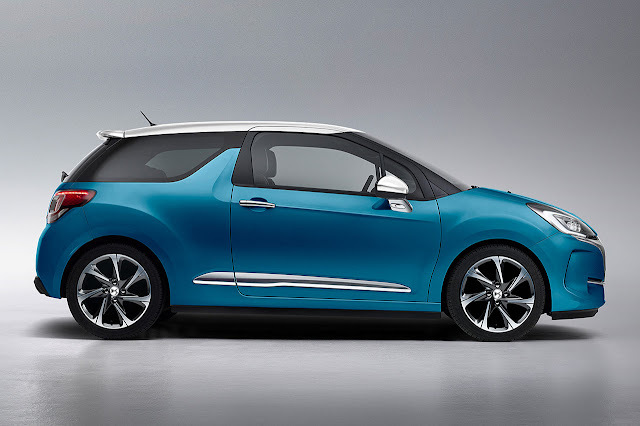 The result is CO2 emissions as low as 87g/km (for the BlueHDi 100) and no more than 129g/km for the range as a whole, making New DS 3 ideal for all uses. Three specific points are particularly noteworthy: the EAT6 latest-generation automatic gearbox; the new PureTech 130 three-cylinder turbo petrol engine mated to a 6-speed manual transmission; and a new dynamic model called “DS 3 Performance”, with a powerful new engine. The latest-generation EAT6 fully automatic gearbox is mated to the PureTech110 S&S three-cylinder petrol engine, which is fitted with a turbo for generous torque at low engine speeds. This ideal gearbox-engine alliance makes for a supple and dynamic drive. Drivers get faster and more seamless gear changes, and enhanced driving pleasure, responsiveness and acceleration. The figures speak for themselves, with combined-cycle fuel consumption of 61.4mpg and CO2 emissions of 105g/km for the hatchback and the Cabrio – not forgetting 205Nm of torque. Available for the first time in DS 3 and DS 3 Cabrio, the PureTech 130 S&S delivers generous torque at low engine speeds and maintains it over a broad operating range. The engine gives New DS 3 even more verve and vitality while ensuring the lowest CO2 emissions in its class at just 105g/km, and combined-cycle fuel consumption of 62.8mpg. With maximum power of 96kW (130hp) at 5,500 rpm and maximum torque of 230Nm from 1,750 rpm, the PureTech 130 S&S engine is a perfect match for New DS 3. The New DS 3 range will include powerful and dynamic DS 3 Performance versions. These distinctive cars combine trademark DS comfort, refinement and style – with athleticism and excitement. The pedigree of DS 3 Performance can be neatly summed up in a few key figures: 208hp, 300Nm of torque and CO2 emissions of 125g/km. These qualities are a result of the tremendous work done by the DS Performance team, who chose to equip the cars with a top of the range 1.6 THP S&S engine mated to a 6-speed manual gearbox with shorter gear ratios. The New DS 3 Performance versions also come, as standard, with a Torsen® limited slip differential for outstanding traction, road-holding and handling. For even more agility, the suspension has been lowered by 15mm and the front and rear tracks have been widened (by 26mm and 14mm respectively). The New DS 3 Performance models are also fitted with larger 323mm brake discs at the front (with special Brembo calipers), and 249mm discs at the rear. Naturally, style was also high on the list of priorities. Some components were redesigned to showcase and underline the vehicle’s dynamic qualities at first glance: a special twin tailpipe, carbon side mouldings, a new sill plate design and Matt Black wheel arch extensions. Not forgetting the vehicle interior, inside there are leather and Alcantara upholstered bucket seats, with special DS Performance embroidery. Offering a number of personalisation possibilities, customers will be able to choose from four body colours (Polar White, Shark Grey, Perla Nera Black or Sport Red), two roof colours for the hatchback (white or black) and special DS Performance graphics.